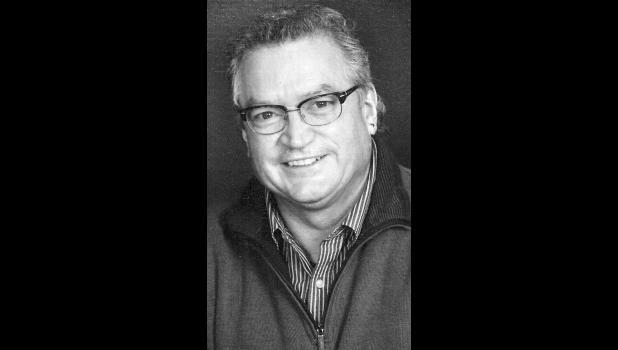 Russel Dean “J.R.” Pickett Jr., 60, of Wetmore, passed away Friday, March 30, 2018, at Midland Hospice House after a courageous and brave battle with cancer. He was surrounded by family and friends. J.R. was born April 2, 1957, in Holton, the son of Russel Dean Pickett Sr. and Anita (Brownfield) Davis. J.R. graduated from Jackson Heights High School in 1975. He received his bachelor’s degree at Emporia State in 1982, his master’s degree at the University of Arkansas in 1984 and his doctorate degree at Northwestern State University in 1991. J.R. was a special education high school teacher, teaching at Wetmore High School. He was a member of Evangel United Methodist Church in Holton and Sigma Phi Epsilon. J.R. married Debra Lehmkuhl on April 1, 2000; they later divorced. J.R. and Debra reconnected in the fall of 2017. Survivors include Debra Pickett of Manhattan; a stepson, Donovan Meek of Manhattan; a stepdaughter, Danielle Hopkins of Lawrence; a sister, Susan M. Harris of Atchison; two brothers, Bucke Lee Pickett of Arlington, Texas, and Timm Pickett of San Francisco, Calif.; nieces, nephews and many friends. A celebration of Russel’s life will be held at 10 a.m. Thursday, April 5 at the Evangel United Methodist Church in Holton. Visitation will be held from 5 p.m. to 7 p.m. Wednesday at the Mercer Funeral Home in Holton.